A fabulous rafting trip from start to finish. This is a very professionally managed outfitter. 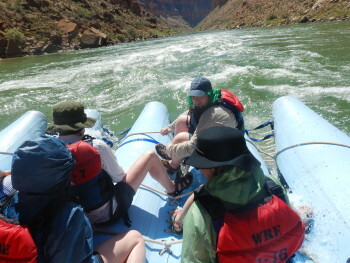 The Western River guides were top notch in terms of their knowledge, personalities, helpfulness, and approach to life. They did a great job of providing historical perspective along the way with interesting geography and geology facts, as well. They all had an upbeat and friendly way about them. Fostered the same among the guests.